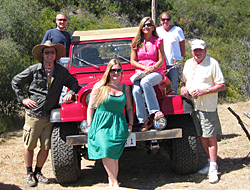 Jump aboard a custom Jeep and then…sit back, relax and enjoy the magical beauty of the Ojai Valley. Discover why this has long been a haven for artists, musicians, nature lovers, health enthusiasts and spiritual seekers. 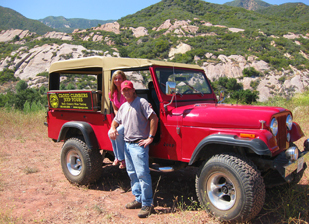 Inspiration is everywhere -- especially in the beautiful scenery -- and what better way to experience it than in an open-air Jeep! 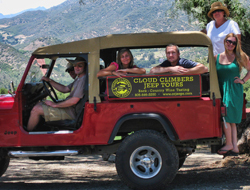 Travel along quiet country roads, past local landmarks and endless orange, olive and avocado groves. 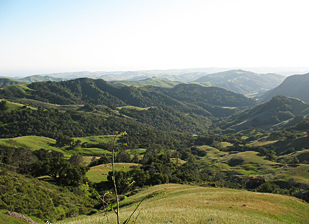 Enjoy a short hike in the mountains, or stop at Meditation Mount for a spiritual garden stroll to a scenic overlook and “bird’s-eye” view of the Valley. 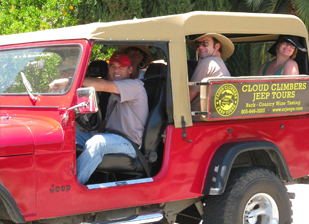 Visit an olive oil farm/estate for a production tour and tasting and finish the day at a local winery, where you will enjoy a variety of delicious wines.